Hello Friends, I have been eyeing this sketch over at Mojo Monday and finally found sometime to play along. In addition, Julee Tilman from Verve has so graciously once again created a FREE digi set for us to use! You can find it HERE! It’s till available for a few more days, so you must go and get it before it’s to late! 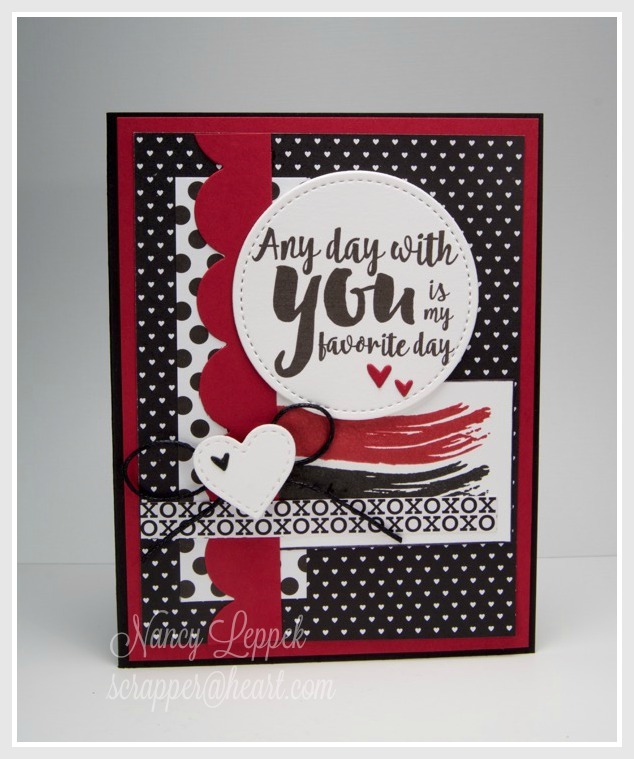 She also has a Love From Me challenge and giveaway going on with her digi set over at the Verve Blog! I fell in love with the sentiment that I used on both of my cards instantly! It made a perfect Valentine for my hubby, since he is indeed my best friend. I just have to decide which one I am going to give to him, probably the one with the paintbrush. I combined her free set with some Stampin Up paper and oval and circle stitched dies, a MFT stitched heart die and scalloped border die, my favorite Verve heart border die, and two stamp sets called Positive Strokes and I Heart Art from Paper Smooches. I cut two heart border dies one back and one white for the second card and glued back in the white hearts so as not to see all the paper and such behind the openings. I paper pieced the paintbrush. 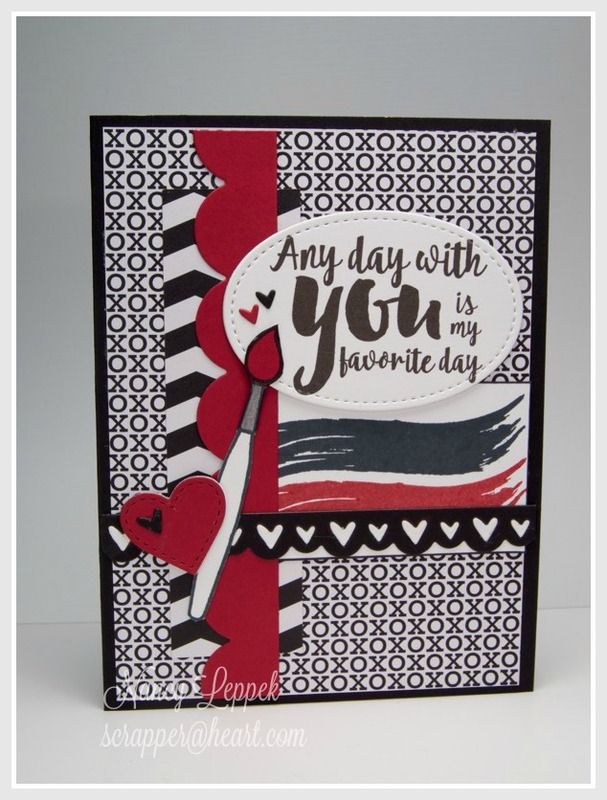 Categories: Cards | Tags: Card making, Cards, love, my favorite things, rubber stamps, stamping, Stamping Up, Valentines Day, Verve Stamps | Permalink. Great valentines, Nancy, and in my favorite color combination. I love all the little details. I also have a sweet challenge blog where you’re most welcome to link up and play along for the chance to win even more amazing prizes. We’re blessed to have the most amazing sponsors offering fabulous prizes, and I really hope you will join us. Beautiful cards. Love the design of each one and a great color combo. Great designs! Love the classic black, white, and red color combination. Thanks for joining us at Mojo Monday! These are fabulous Nancy! Love the paint swooshes and that big scalloped border. Thanks for joining us for Mojo Monday!